Thirty men were sentenced Saturday to between 10 years and life in prison to schedule a suicide bombing on a church in the Egyptian city of Alexandria and other charges, court officials said. At the time of their arrest, the authorities said that the defendants had taken over the ideas of the Islamic state and had received training abroad and in Egypt. Thousands of the defendants who appeared in court did not respond to the sentences and there was no immediate comment from the lawyers representing them. The other 10 are still on the run and were sentenced in absentia. The attack on the church did not take place. 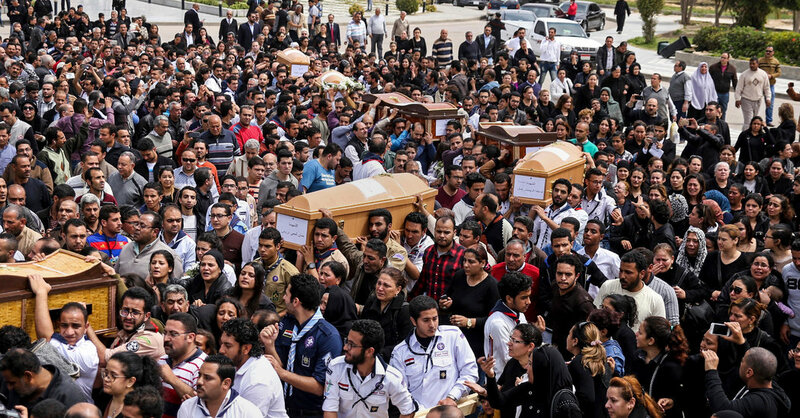 But minority Christians have faced a number of attacks in Alexandria and other parts of Egypt in recent years. The Islamic State claimed responsibility for suicide bombings at churches in Alexandria and Tanta in April 2017, killing 45 people. Eighteen received living conditions that run for 25 years in Egypt; eight received 15 years in prison and four were sentenced to 10 years, according to the head of Alexandria Criminal Court, convened in Cairo. Egypt has blown up Islamist groups since President Abdel Fattah al-Sisi led to the military downfall in 2013 of Egypt's first freely elected president, Mohamed Morsi, of the Muslim Brotherhood.